This plainspoken principle resounds in everything the family does. From Jimmy Pursell, the 85-year-old family patriarch, to their adult children, Taylor, David and Chris. The simple motto sums up the family’s generous idea of living beyond themselves, and their own generation. It’s their practice, as parents, of passing on to their children and grandchildren values before valuables, laying the foundation of faith. And it’s their commitment to invest in eternal rewards over temporary pleasures. This is the Pursell legacy. And it all begins with the story of Jimmy Pursell, a small-town boy from Talladega, Alabama. Jimmy and Chris were married in 1953, and soon Jimmy went to work in his father-in-law’s fertilizer business. With an outgoing personality, Jimmy was a natural salesman. He quickly expanded his new division of the company, the Sta-Green line of lawn and garden fertilizers. In the mid-1960s, after the passing of his father-in-law, Jimmy took over the company. He began to innovate, and developed a line of controlled- release fertilizers. They developed and patented a polymer-coated fertilizer called POLYON and became one of the largest producers of coated fertilizers in the world. Jimmy’s faith came alive as he began to see his business as his mission field. Over the next several decades, the company continued to prosper. In the late 1990s, they became Pursell Industries, then Pursell Technologies, and eventually split with Taylor assuming the lead of Pursell Industries and David heading up Pursell Technologies. Their sister, Chris, also worked in the business for six years before marrying and moving away. Jimmy's faith came alive as he began to see his business as his mission field. In 2001, David relocated the headquarters of Pursell Technologies to the family farm 10 miles away, and developed a new marketing strategy using the picturesque 3,200-acre property. He built FarmLinks Golf Club, a 7,444-yard, par-72 Hurdzan-Fry research and demonstration course to showcase their innovative fertilizer products to golf course superintendents. They also offered these guests home-cooked meals, fishing and relaxation in the 14,000-square-foot Parker Lodge. More than 10,000 top golf course superintendents came to enjoy the Pursells’ wholesome hospitality. David explains the four pillars of faith that he tries to incorporate in their business. 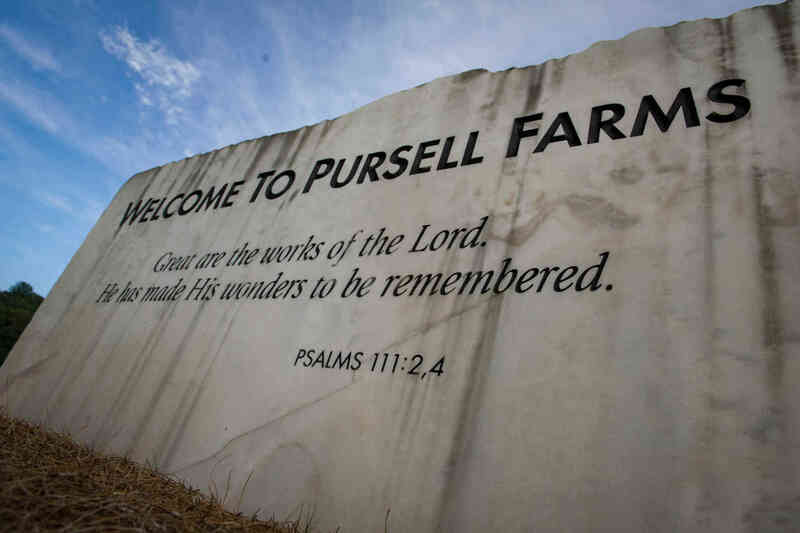 When people enter Pursell Farms, they don’t just see a beautiful golf course. They see signs of a family that loves God. Micah made a miraculous recovery but was unable to return to football. So, he started playing soccer, which came in handy when he traveled to Africa and played with street children living in extreme poverty. Soon, a vision began to take shape to use soccer as a means to minister to children in third-world communities. David met Micah at the perfect time to invest in his dream. “I had just sold the company and made a lot of money,” David says. David and his family in Kenya on their first mission trip with Vapor International. Currently the 8th-largest US charity, NCF is a charitable giving ministry that provides innovative, tax-smart giving solutions for Christian families and their advisors.